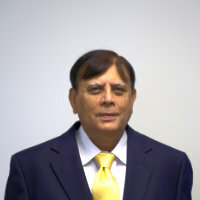 Dr. Subhash Kapre established Inventprise in 2012. He brings with him forty-five years of extensive scientific and commercial expertise from his work leading R&D and business development at the Serum Institute of India. He is known internationally for his wide-ranging R&D expertise in bacterial and viral vaccines, bio-therapeutics such as therapeutic monoclonal antibodies, and biopharmaceuticals. Dr. Kapre also has expertise in the establishment of WHO-accredited large-scale vaccine manufacturing plants, capable of supplying doses in the hundreds of millions. Dr. Kapre’s contributions have resulted in him being awarded over 50 patents and he has published numerous scientific papers. Mr. Ghate has been in executive management for over thirty-five years, with special expertise in aseptic sterile operations for biological and pharmaceutical products. Having worked in key positions at Cardinal Health and Catalent Pharmaceuticals, his operations experience ranges from formulation to finish & packaging and quality assurance. 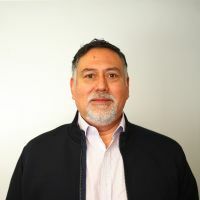 Ivan has more than 20 years of experience as biochemist with thorough understanding of vaccine development, small drug development, target selection and validation, pre-clinical studies, protein biochemistry and gene regulation. He is skillful in management of projects and personnel, and technology assessment and licensing. Ivan received a Ph.D. in Biochemistry from Rutgers University in New Jersey, and did post-doctoral work at Stanford University in California. 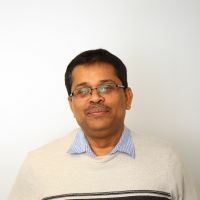 Dr. Anup is an accomplished professional with 20 years of comprehensive experience in bacterial and protein – subunit vaccines, development and technology transfer from concept to clinical thru licensure and commercial manufacturing. Dr. Anup is recognized as an industry leader in conjugate vaccine development, and played a pivotal leadership role, as a co-inventor and developer of several conjugate vaccines. His broad experience comprises of process & analytical chemistry, biochemistry, including bioconjugation, quality and CMC regulatory. He holds a PhD in the field of polysaccharide conjugate vaccine and has also worked on several NIH/USA funded projects as principal/co-investigator. 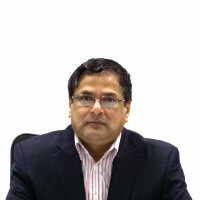 Dr. Anup has experience working at various senior management level position in the US as well as India, having worked in several premier WHO pre-qualified vaccine development and manufacturing companies.